Taking a Cleveland airport taxi is like playing Russian roulette with your wallet. Once the taxi driver drops the lever, the taxi driver has a license to vacuum out your wallet. The meter ticks by whether you’re stuck in traffic or moving. The back of a Cleveland airport taxi will never be mistaken for a VIP lounge, either. From one day to the next, the cleanliness of one cab or another can go from bad to unacceptable. But once you’re in the back seat, it’s usually too late and your stuck. It’s much smarter to call Freedom 2 Go and hire a private car instead of a run of the mill Cleveland airport taxi. People picture a big limousine pulling up to the curb when a private car service is mentioned. They figure that kind of service is only for weddings and big parties, not as a substitute for an airport taxi ride. That’s a shame, because private car service is available at comparable rates to airport taxis, and the difference between the services is night and day. A driver in a tuxedo driving a stretch limousine isn’t the only kind of car service available. If you want to avoid taking a Cleveland airport taxi, why not hire a nice, low-key sedan from Freedom 2 Go? They send a low-key luxury car to pick you up and drop you off, and the drivers are well dressed, polite, and professional. If you’re traveling in a group, a Cleveland airport taxi ride can force you to split up, and that can make the end leg of your journey even more of a chore, and more expensive, too. Car services like Freedom 2 Go have many different kinds of vehicles available, suitable for one person or a whole family. They can send a big, comfortable SUV, or a plush van if you’ve got a really big crowd with you. You’ll probably save money over the price of several Cleveland airport taxi rides, and you’ll ride in style. Rattling around Cleveland in a dirty cab is no way to end a business trip or a vacation. 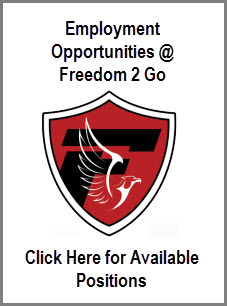 Next time you’re flying in and out of the city, or flying into Akron and driving from there, try hiring a car service like Freedom 2 Go instead of a run of the mill taxi. Instead of arriving at your destination worn out and tired, you can catch forty winks in the back seat while the driver takes care of the traffic. It’s the civilized way to travel.